Inter Milan are open to selling Manchester United target Marcelo Brozovic in the summer transfer window, report Calciomercato. Calciomercato report that United boss Jose Mourinho travelled to Zagreb to watch Croatia take on Ukraine in the World Cup qualifiers. The Italian outlet believe that Mourinho was there to watch Brozovic, and teammate Ivan Perisic, in action. Mourinho denies these claims. 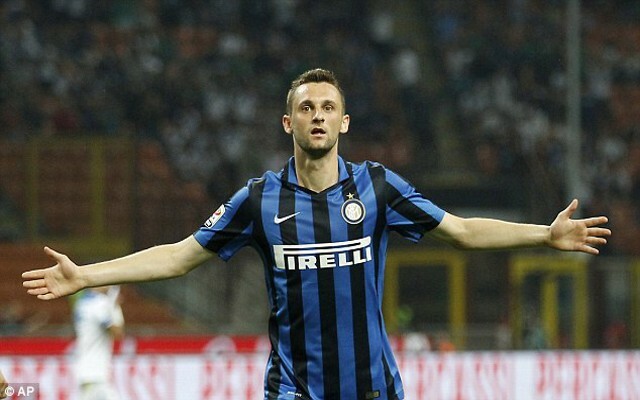 If Man United are keen on securing Brozovic’s services in the summer, they appear to have been handed a major boost. Calciomercato report that Brozovic’s inconsistent performances have left Inter willing to part with him. Calciomercato report that there is a £43million release clause in Brozovic’s contract, which would likely have to be met in full if Man United, or anyone else, wants to sign him in the summer. The Red Devils have continually displayed their financial power in recent transfer windows, and would comfortably be able to afford that fee.